The Haas FinTech Club was founded in 2016 and currently supports more than 150 members. It is one of the fastest-growing clubs in Berkeley-Haas history with 250+ event attendees attracting students from across UC Berkeley. The club aims to prepare students for careers in FinTech through education, treks, and other programs. 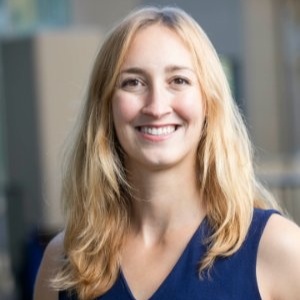 Annie Sept is Co-President of the Haas FinTech Club. Bio coming soon. Bosun Adebaki is Co-President of the Haas FinTech Club. Prior to Haas, he spent nine years in M&A and Consulting, advising PE Firms and multinationals as part of cross-border M&A transactions in Europe, North America and LATAM, in addition to helping global financial institutions implement information exchange agreements. He is passionate about using FinTech to ensure fair access to financial services and products for the global underbanked. Bosun is an avid traveler and aside from exploring new parts of the world, in his spare time Bosun enjoys savoring a glass of dark Rum, reading about cryptocurrencies, and pondering how FinTech can change the world. In his spare time, Ryan enjoys cycling, running, and deep conversations about the future of financial services. Regina works at Marqeta, a fintech startup headquartered in Oakland, where she is on the product operations team. Her previous work experience includes working for Silicon Valley Bank's early stage practice in NY and SF and working on the payment strategy team where she was on the SVB launch team for Stripe Atlas and a program manager for Commerce.Innovated.. Regina is also passionate about closing the investment gap for women, learning more about crypto, and diversity and inclusion efforts in tech. Matteo focuses on the intersection of financial services and Blockchain technology. He is particularly interested in the technology’s potential to democratize financial services, lowering barriers to transferring value among institutions, countries and individuals. As VP Blockchain Matteo aims to create awareness of Blockchain potential among Haas students and connect them with business opportunities in the Blockchain space. Prior to his MBA, Matteo worked as a management consultant in the financial services industry. He led large-scale projects for a wide range of both private and public sector clients across Europe, the Middle East and Africa. He has experience in strategy, financial modelling, data analytics, team management and used to interact regularly with C-suite executives. Lauren Fu is currently a first-year full-time MBA student and a Consultant at Blockchain at Berkeley. Prior to Haas, she spent 4 years in investment banking in Canada. She is interested in the intersection of technology and finance with a special focus in blockchain. Andrew has four years experience working in management consulting at IBM where he advised financial institutions on digital transformation and growth. He is passionate about Fintech as a vehicle to democratizing the banking industry, particularly for those unbanked consumers in emerging markets or disenfranchised parts of the US. Prior to Haas, Andrew graduated from NYU's Stern School of Business with a degree in finance and economics. Prior to Haas, Stan spent 5 years in the wealth management industry based in New York and Miami, where he provided investment advice to ultra high net worth individuals all over Latin America. He is passionate about the potential of the FinTech industry in developing regions, and during his first semester at Haas worked with an Egypt-based payment processing startup on an international expansion strategy. He holds a B.S. in Business Administration from Babson College, where he majored in Finance and Economics. Lourdes is the VP of Social Impact at the FinTech club. While volunteering in Accion Emprendedora, a non-profit organization in Peru that helps low-income entrepreneurs, Lourdes realized that the greatest barrier for the development of an entrepreneur was the lack of access to working capital and to affordable solutions to manage its business monetary transactions. In this experience, she discovered that financial inclusion was a fundamental condition against poverty. She later joined EFL Global, a fintech growing startup that uses psychometrics and behavioral science to create alternative credit risk scores. She supported financial institutions implement this score to open access to credit to unbanked - underserved segments under a profitable business model. Lourdes is now interested in innovative solutions increasing financial inclusion, especially in the lending and payments space. Lourdes graduated as Industrial and Systems Engineer, worked in management consulting for five years in Peru and then in fintech for two years in several countries in Latam. Dmitriy Berenzon is currently an MBA student at the University of California, Berkeley-Haas School of Business. He was previously an Assistant Vice President with Deutsche Bank Labs, a function that accelerates the adoption of innovative technologies to enhance Deutsche Bank’s products & services. In this capacity, Dmitriy engaged with startups, investors, and academia to discover, evaluate, and adopt such technologies into the Bank. Prior to this, Dmitriy was an Associate in the Strategy & Business Development team within Deutsche Bank’s Global Transaction Banking (GTB) Division, where he supported senior management with respect to the development, execution and monitoring of GTB’s strategies, structure & governance and business & operating models. Dmitriy is also a student of the martial arts, having been actively practicing Brazilian Jiu Jitsu since 2009. Prior to Haas, Vera worked at a global asset management firm in New York City and an investment bank in China. Vera is passionate about robo-advisor, blockchain, and how AI is reshaping the finance industry. Before Haas, Vera studied Finance and Accounting at New York University Stern School of Business. She loves acoustic guitar and travelling around the world.